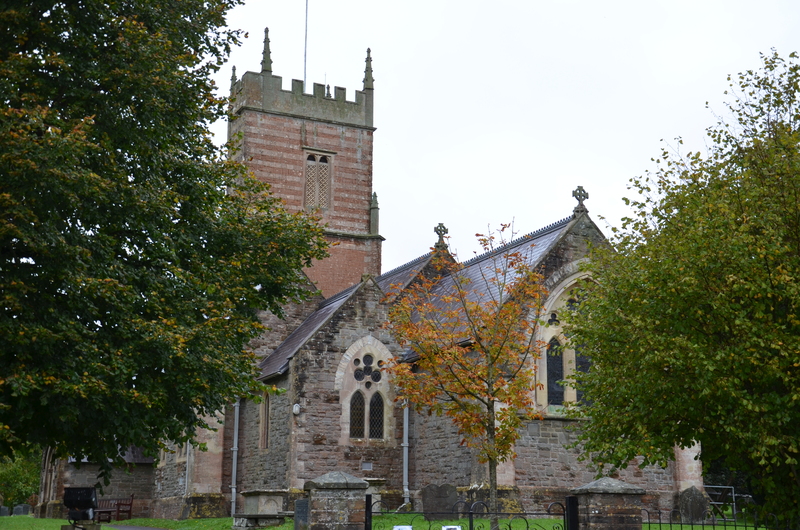 Just returned from a trip to Somerset that included visits to a number of churchyards, including Clutton, High Littleton, Clandown and Midsomer Norton. 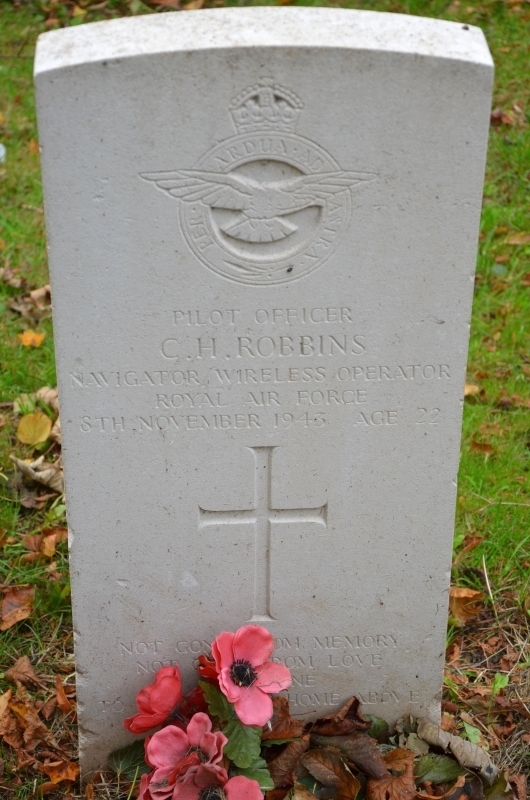 Whilst there I was able to photograph a number of graves of relevant surnames. Research ongoing into those graves and the families, with updates to follow. 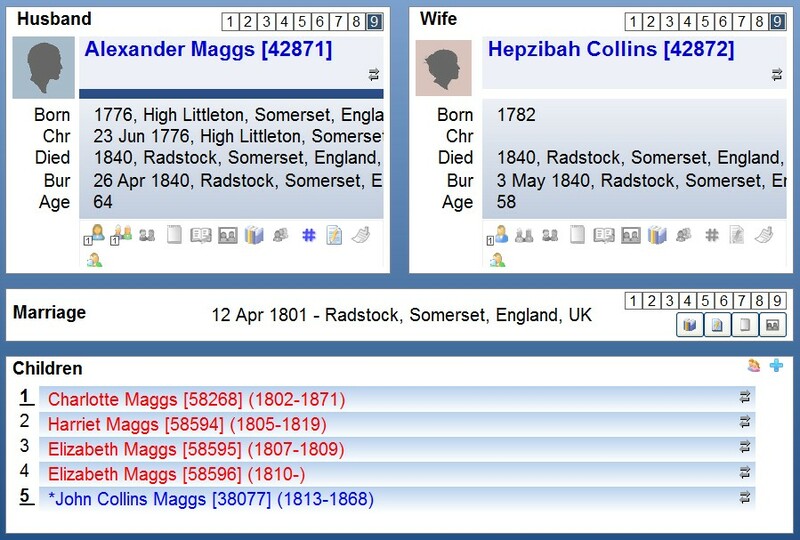 The latest website update includes the descendants of Alexander Maggs and involves the addition of a few hundred individuals down to present day. Surnames include Maggs, Short, Robbins, Blatchford, Gullick, Harris, Gulliford, Hamilton, Seymour, Woodland, Orledge and many more. View a textual 7 generation report or many other reports here. 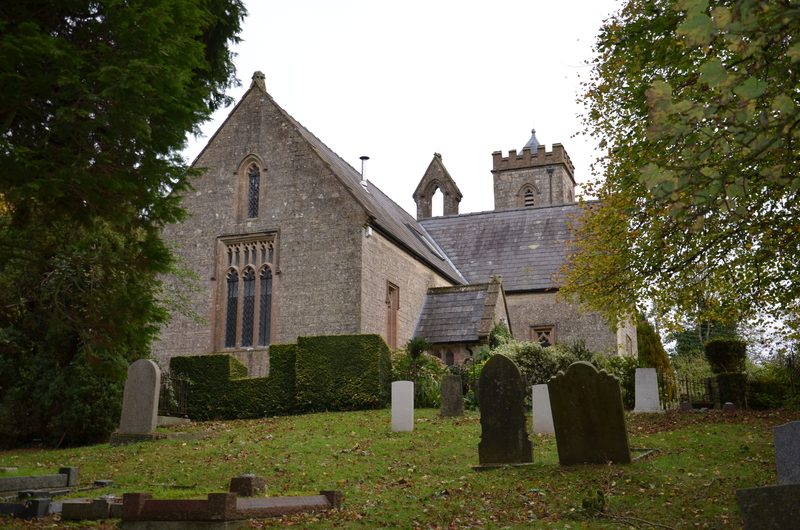 The latest round of research has been into the Blatchford family of Somerset, in particular the descendants of James Blatchford and Mary Bush. They were both born in Kilmersdon and married in 1759 at St. Peter & St. Paul Church in the village. 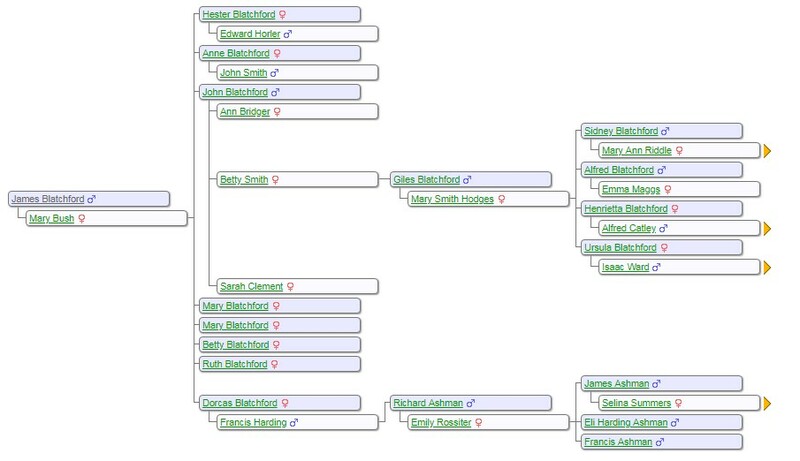 This Register report show 8 generations of the descendants of James Blatchford and Mary Bush. 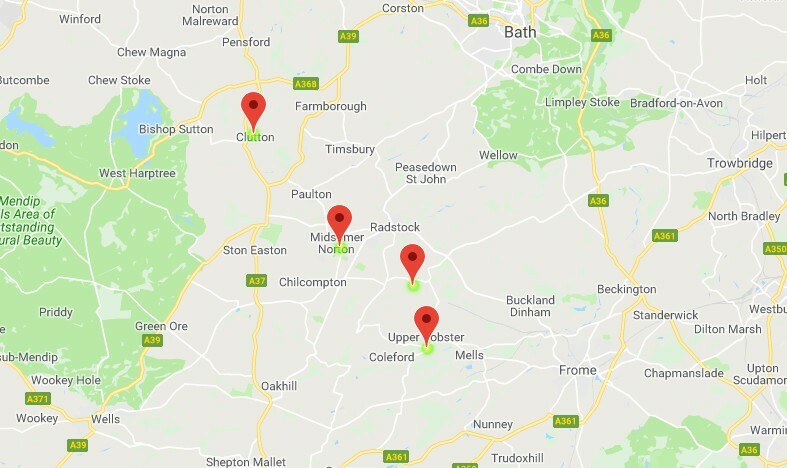 There are now 56 Blatchford individuals on record all centred in the North Somerset area around Clutton, Midsomer Norton and Radstock. As always all additions, corrections or comments are welcome. Please get in touch.